As rangers approached the tiny gray body, they braced themselves for heartbreak. 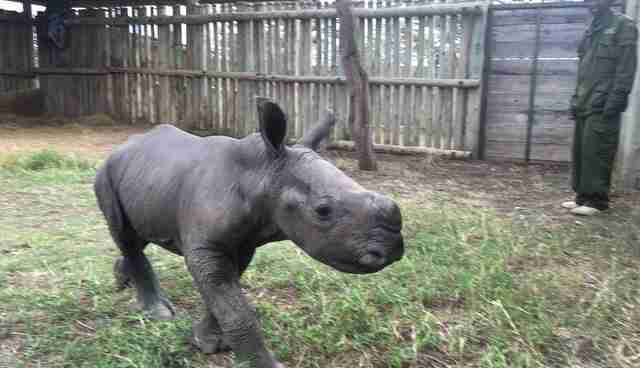 But then the southern white rhino, just a few days old, moved. The rangers rejoiced that the baby showed signs of life, but they saw that he was also terribly in danger. 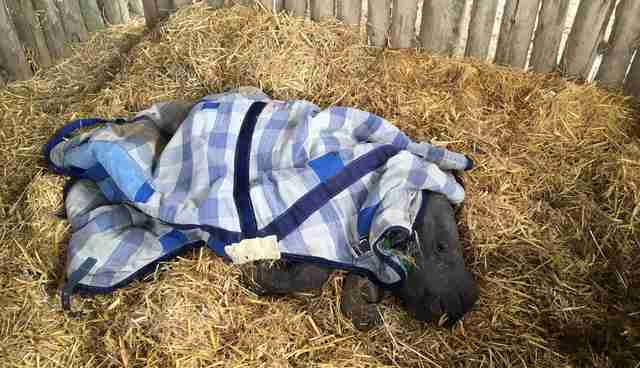 Because of complications from birth, he couldn't stand up. 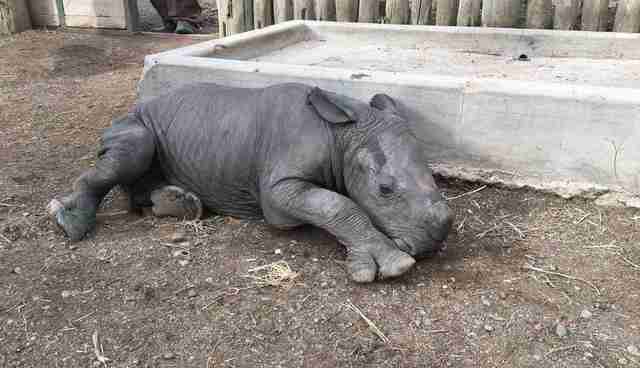 His mother had likely abandoned him at the signs of his illness - a common occurrence in the natural world - but because rhinos are so endangered, people know that every baby counts. Rescuers rushed to bring the baby to safety. 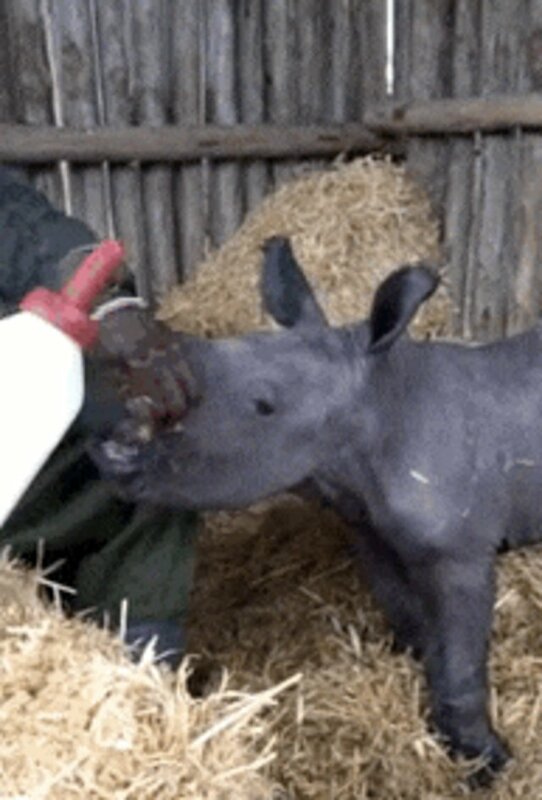 After just a few hours of rehydration and special rhino milk formula, he improved incredibly. 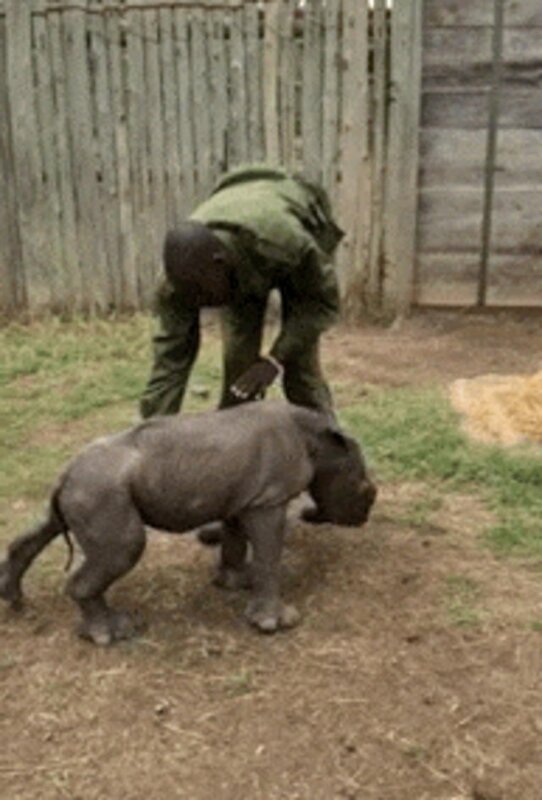 Now he enjoys belly scratches from the kind keepers at Ol Pejeta Conservancy in Kenya. And he's fed from a bottle eight times each day. Not even his mother thought he would survive. But look at him now. As long as his recovery goes smoothly, when he's old enough, he'll be released back into the wild. 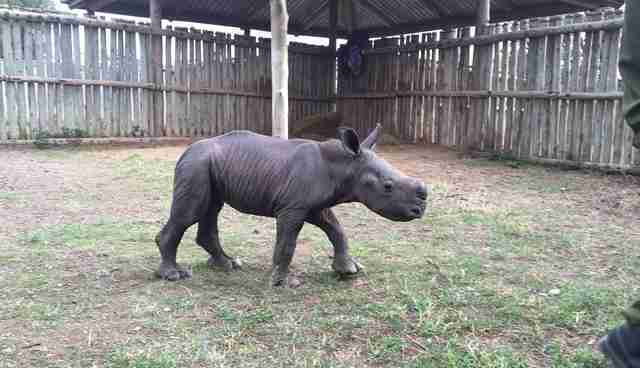 Read about another amazingly rare rhino at Ol Pejeta here.